Home/News/Need expert legal advice? Paul Crowley & Co solicitors will be available today at Belle Vale Shopping Centre. Need expert legal advice? Paul Crowley & Co solicitors will be available today at Belle Vale Shopping Centre. Looking for professional legal advice, come and talk to the experts? 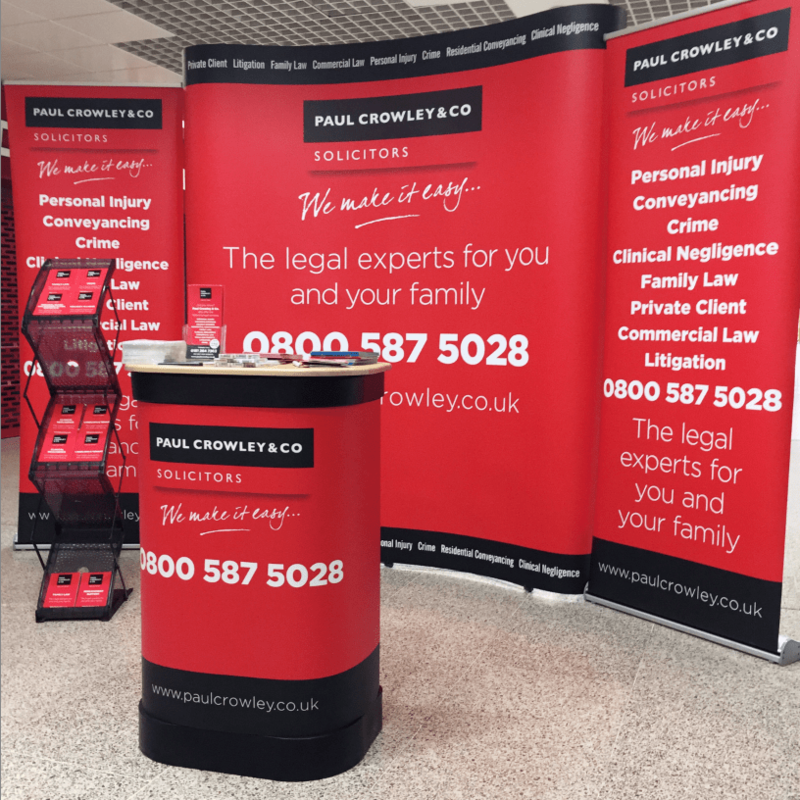 Leading Liverpool law firm Paul Crowley & Co will be on-hand to answer all your legal questions at Belle Vale Shopping Centre on Childwall Valley Road, today Wednesday 19 September, from 9.00am-6.00pm. Come along today and meet the members of our team, Julie and Alison who will be accessible throughout the day, to discuss and assist with any legal advice you may require. They will be located by the entrances to Greggs and Home Bargain. Personal Injury NO WIN NO FEE! Holiday Illness NO WIN NO FEE! Clinical Negligence NO WIN NO FEE! Paul Crowley & Co will be also be appearing in Liverpool city centre St John’s Liverpool on Saturday 29 September from 9:00am–6:00pm, so if you have a legal question you would like to ask, Julie and Alison will be pleased to help you. We offer a ‘NO WIN NO FEE’ for Personal Injury, Holiday Illness and Clinical Negligence claims. We look forward to seeing you? Paul Crowley & Co solicitors have the answers, speak with Alison or Julie who will be happy to assist with legal advice, or call us now on 0151 264 7363 or email us.